I’ve seen Jackie Kennedy at a Broadway theater, explaining to her then-lover Maurice Tempelsman what a CD was. (That item ran in Liz Smith’s column.) I’ve seen Ethel Kennedy go nuts on Hyannis’ Main Street. 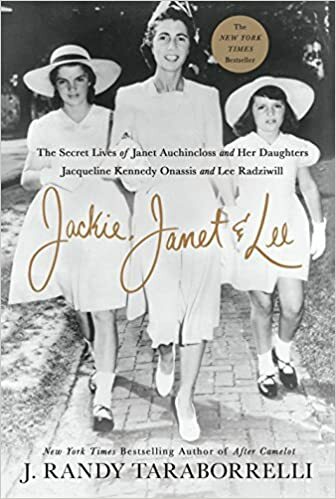 Now I am getting closer to other Kennedy kin with Jackie, Janet & Lee: The Secret Lives of Janet Auchincloss and Her Daughters, Jacqueline Kennedy Onassis and Lee Radziwill (St. Martin’s Press, $29.99). To truly understand Jackie, one of the most iconic women of the 20th century, is to understand the powerful bond she shared with her mother Janet Auchincloss, and younger sister, the enormously complex Lee Radziwill. 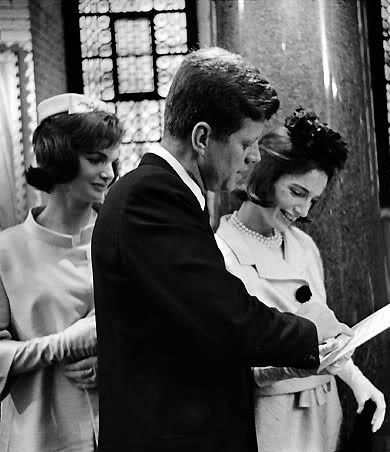 The relationship between the three women and how it came to impact Jackie’s life as one of the most famous of America’s First Ladies has never before been revealed in its entirety, until now. J. Randy Taraborrelli breaks through the mystery surrounding the lives of these enigmatic women and takes readers into the big and small moments of their lives, weaving a captivating psychological portrait of two famous sisters and their ferociously protective and ambitious mother. Jackie Kennedy, JFK, and Princess Lee Radziwill at the christening of Lee’s daughter, Anna Christina Radziwill, Crypt Chapel, Westminster Abbey, 1961. Janet Lee Bouvier was a formidable woman from a wealthy family who, in 1928, married the dashing but unpredictable Jack “Black Jack” Bouvier. Though she had two children with him—Jackie and Lee—Janet’s marriage was far from a happy one as she had to cope with her husband’s infidelity. She flouted convention by defying her powerful, religious father James T. Lee and chose divorce at a time when it was taboo. Janet would then make the ultimate sacrifice for her daughters when she wedded the well-heeled Hugh Auchincloss. Though he could guarantee financial stability, he also made it clear to Janet that he could never consummate the marriage. A woman stunningly ahead of her time, Janet bore a daughter—Jackie’s and Lee’s half-sister, Janet— using her own version of artificial insemination, a science practically unheard of in the 1940s. The story continues with Jackie’s marriage to Senator Jack Kennedy, (who becomes President of the United States in 1960), and Lee’s royal union to the dashing Prince Stanislaw Radziwill. But soon, the Greek shipping mogul Aristotle Onassis enters Lee’s life and begins an affair with her. Rather than allow Lee to bring scandal to the steps of the White House, Janet forces her to choose family over her love for Onassis. 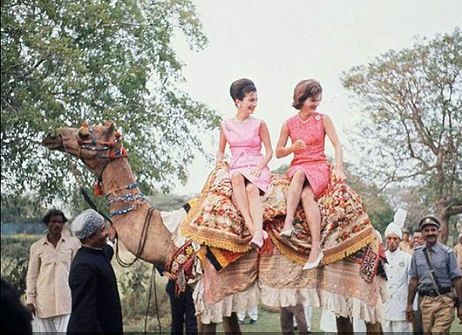 The First Lady and her sister Lee Radziwill ride a camel in India. Jackie’s agent, Clint Hill, signaled to them to cross their legs, to avoid any embarrassing photos being taken. John F. Kennedy's life and legacy detailed in "I Am JFK Jr."